A woman has to juggle everything 24/7. She must find the perfect balance for family, work and herself. Yes, a woman definitely needs time for herself, and running can be the perfect avenue to relieve stress, burn stubborn calories, jump start endorphins and boost self-esteem. But the benefits of running don’t stop there. Running also improves circulation, flushing out the toxins in the body and leaving you with a clear, glowing skin. I believe that one of the most crucial parts of running is choosing the right pair of running shoes. 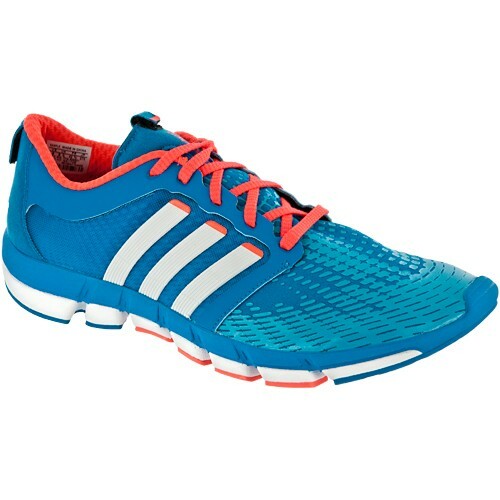 Your running shoe decision will have a great impact on your run. I scoured the market for the perfect pair and came up with four pairs of shoes for women: the adidas Supernova Sequence 4, Asics Cumulus 13, Brooks Adrenaline GTS11, and Mizuno Wave Precision 12. The adidas Supernova Sequence 4 promises optimum performance in combination with the right amount of cushion and support. It has adiPRENE®+ in the forefoot for propulsion and efficiency and adiPRENE® in the heel for cushion. What is fun about this product is that you can customize it to fit your feet and personalize it with characters embroidered on the heel top or choose a country flag as a lace jewel. The Brooks Adrenaline GTS11 received the award of “best upgrade” from <i>Runner’s World</i>. Because of Brooks’ DNA technology, this product has more cushion and better stability than its predecessor. The Mizuno Wave Precision 12 is patterned after waveforms, wherein they spread and disperse energy fast. So as your foot hits the ground, the Mizuno Wave Precision 12 lessens the impact and redirects the forces away from your foot. Never be stingy in buying the perfect running shoes for you. You are not buying the brand to look good. You are buying the perfect running shoes to feel good.